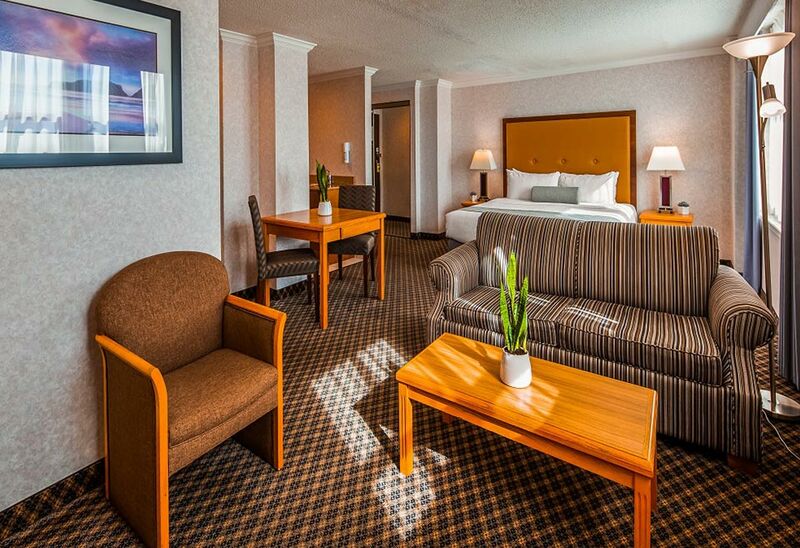 Tastefully decorated, comfortable guestrooms await your arrival at this Hotel on Vancouver Island BC. 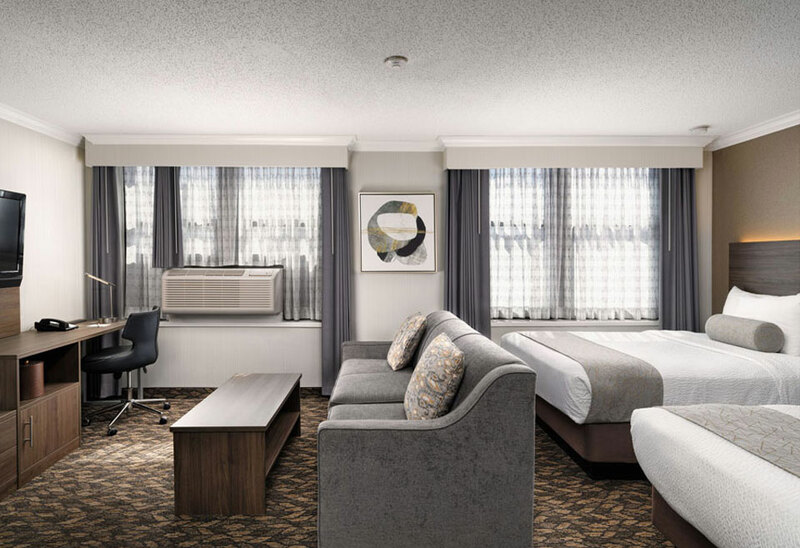 Choose from a variety of traditional guest rooms, bright and spacious kitchen suites and one bedroom suites, all with air conditioning. 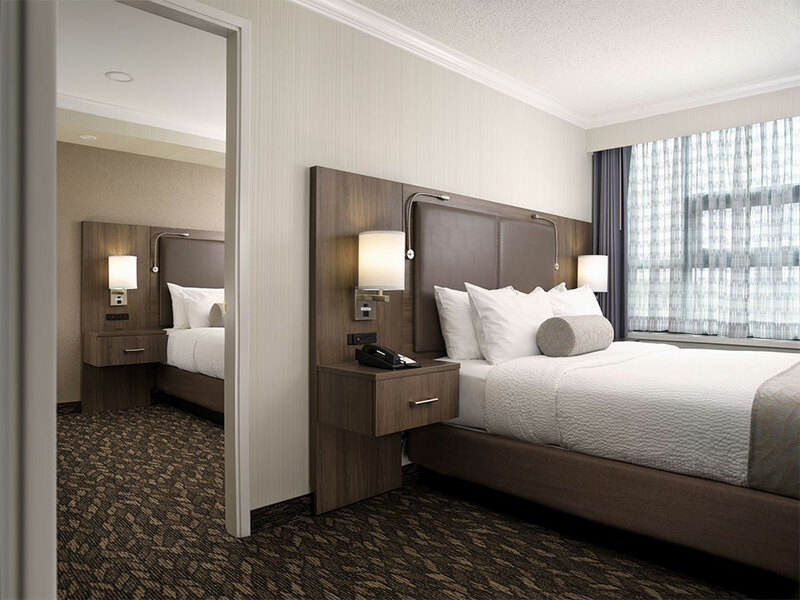 Our Traditional Double Rooms are cozy and clean rooms equipped with many extras including a bar fridge, individual drip coffee maker, kettle, and personal safe. All of our 250 square foot Double bed rooms come with a large desk and complimentary Wi-Fi, ideal for business or personal lap top use. This room type is perfect for friends travelling together or couples travelling with young children. 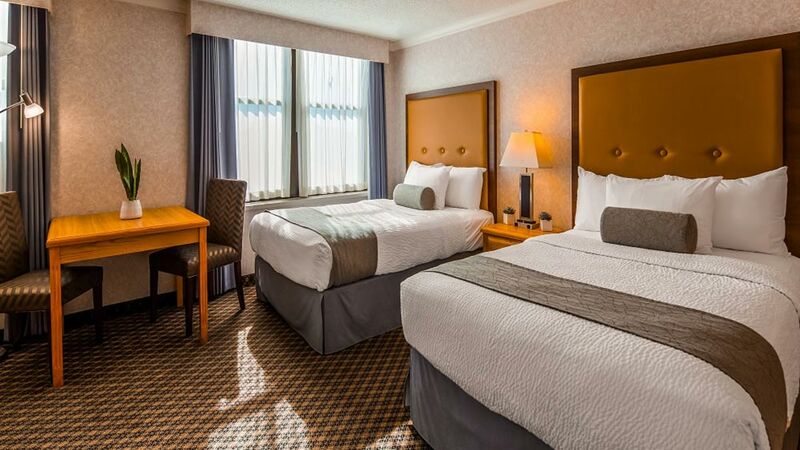 Our traditional Queen Rooms are cozy and clean rooms equipped with many extras including a bar fridge, individual drip coffee maker, kettle, and personal safe. 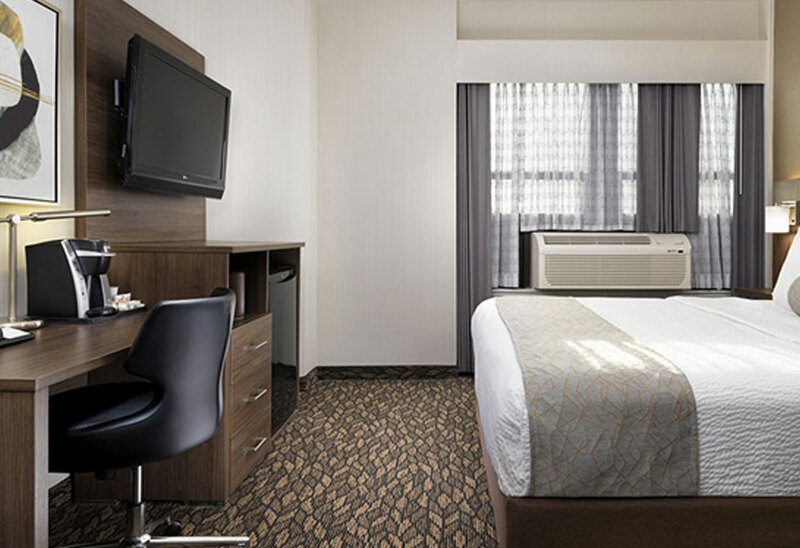 All of our 250 square foot Queen sized rooms come with a large desk and complimentary Wi-Fi, ideal for business or personal lap top use. 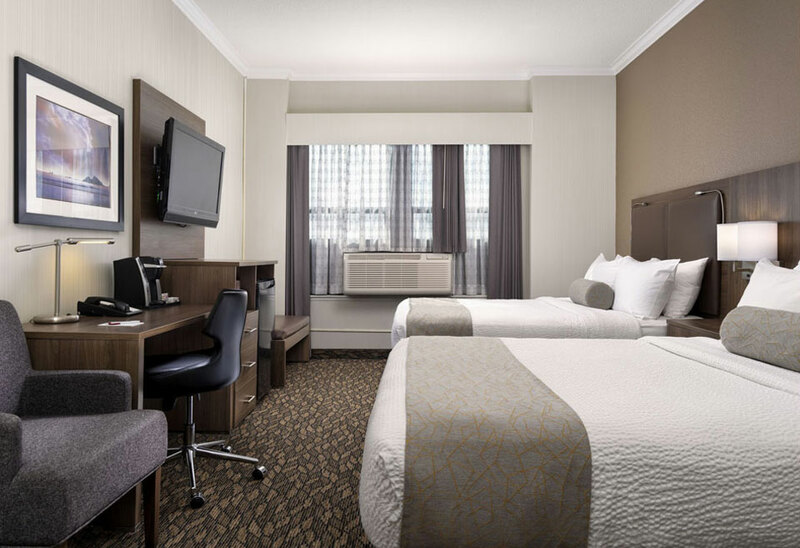 This room type is perfect for couples or business travelers. 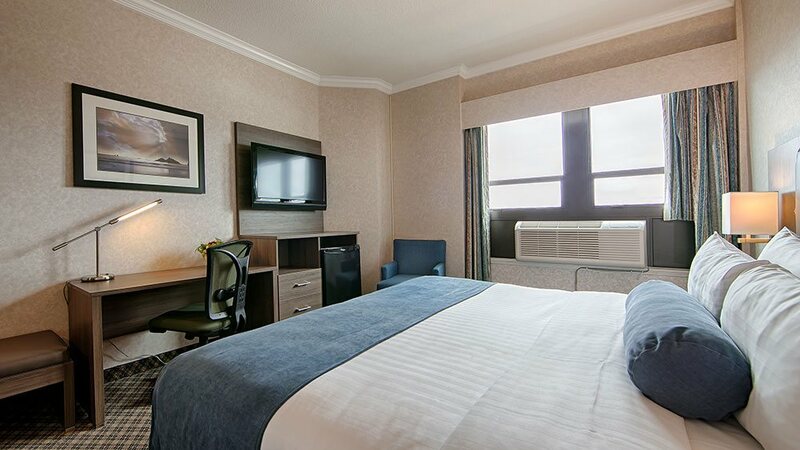 Our traditional Two Queen Rooms are our more spacious traditional rooms and are equipped with many extras including a bar fridge, individual drip coffee maker, kettle, and personal safe. 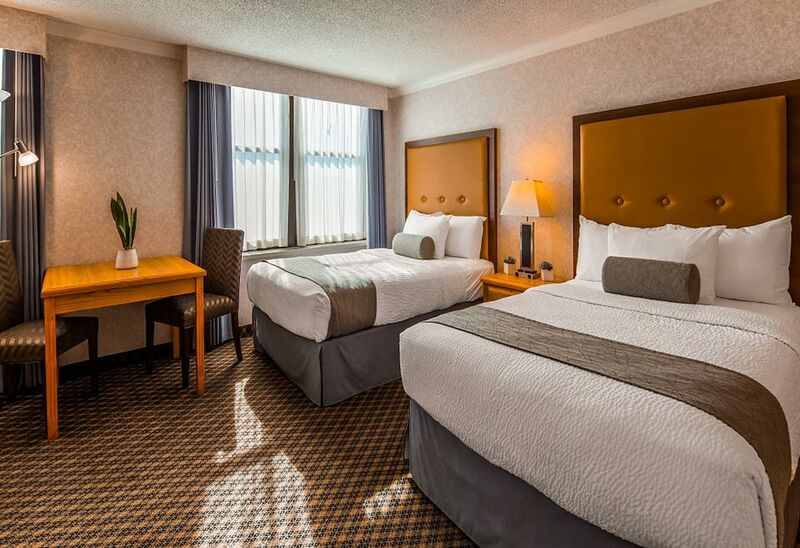 All of our 350 square foot Two Queen sized rooms come with a large desk and complimentary Wi-Fi, ideal for business or personal lap top use. This room type is perfect for friends travelling together or couples travelling with young children. 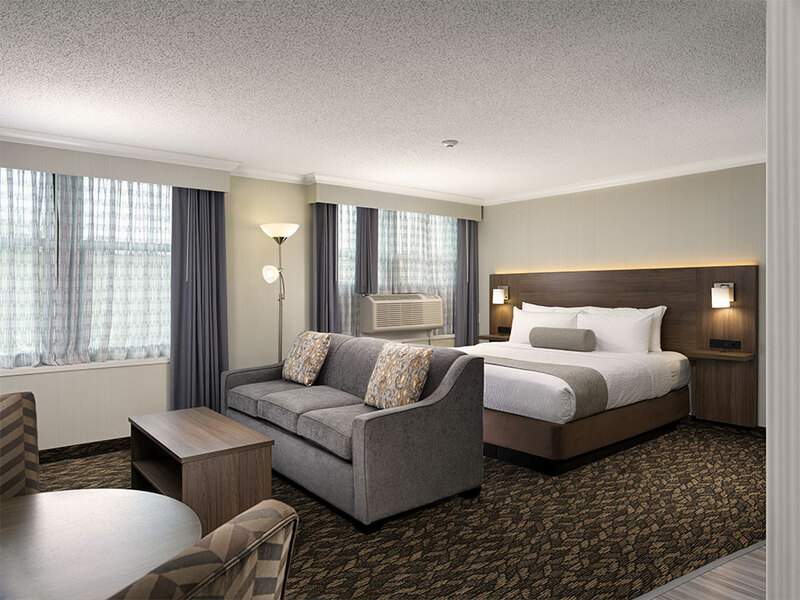 Our traditional King Rooms are our more spacious traditional rooms and are equipped with many extras including a bar fridge, individual drip coffee maker, kettle, and personal safe. 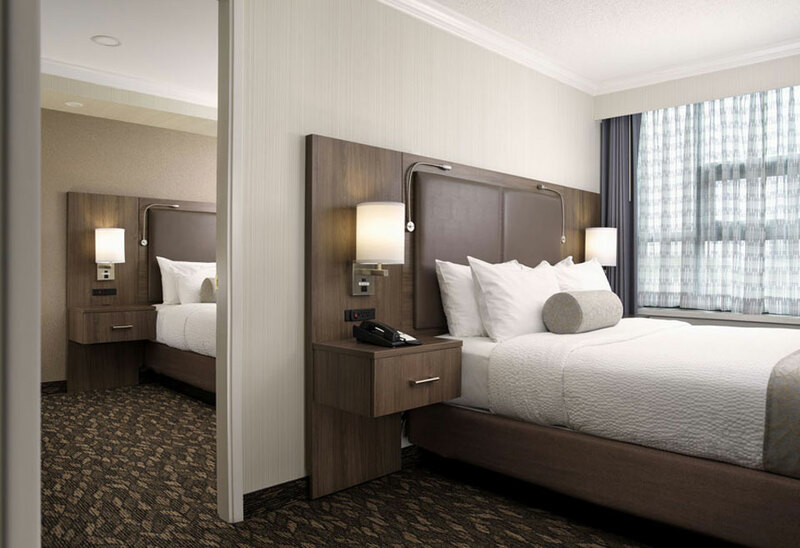 All of our 300 square foot King sized rooms come with a large desk and complimentary Wi-Fi, ideal for business or personal lap top use. 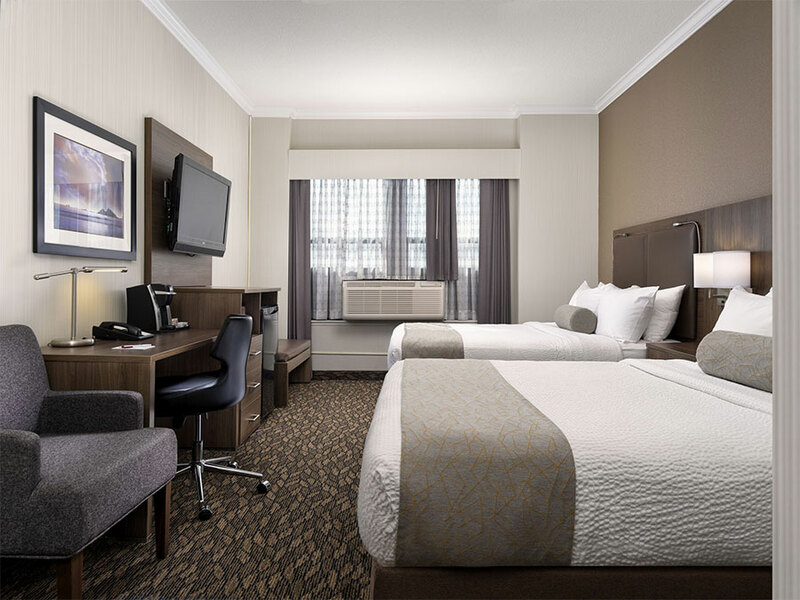 This room type is perfect for couples or business travelers. Our Suites with two Double beds come bachelor style with a full kitchen that includes; bar fridge, electric stove top, oven, microwave, kitchen sink, and kitchen table. These rooms come equipped with many extras including individual drip coffee maker, kettle, personal safe, and complimentary Wi-Fi. All of our spacious 500 square foot Suites with two Double beds have a comfortable sitting area with a pull out sofa (making a third double bed), chair, and a coffee table. This room type is most suitable for couples with children or friends travelling together seeking a few more creature comforts and space. Our Queen Suites come bachelor style with a full kitchen that includes; bar fridge, electric stove top, oven, microwave, kitchen sink, and kitchen table. These rooms come equipped with many extras including individual drip coffee maker, kettle, personal safe, and complimentary Wi-Fi. 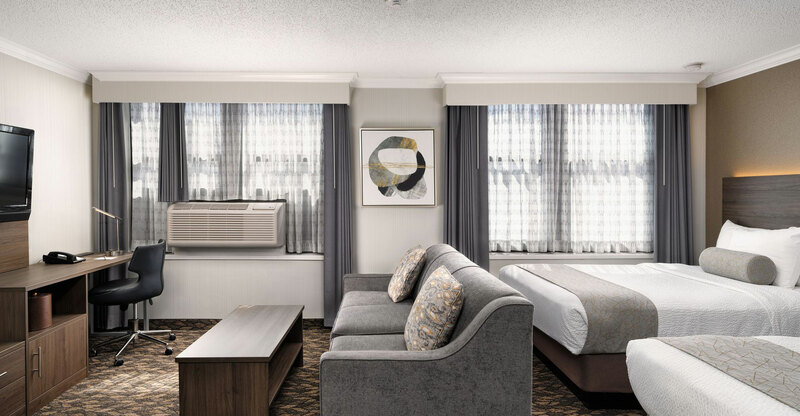 All of our 400 square foot Queen Suites have a comfortable sitting area with a pull out sofa (giving an additional double bed), chair, and a coffee table. 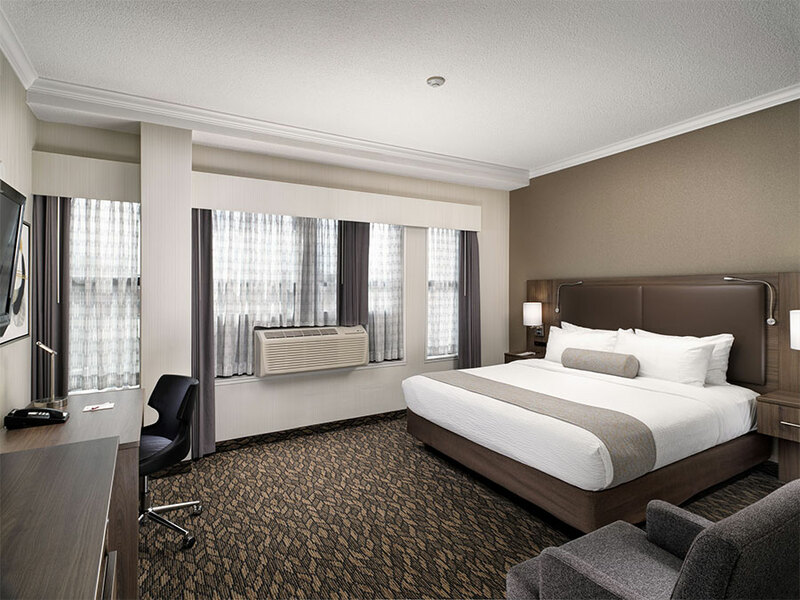 This room type is most suitable for couples and business travelers seeking a few more creature comforts and space. Our King Suites come bachelor style with a full kitchen that includes; bar fridge, electric stove top, microwave, and kitchen sink. These rooms come equipped with many extras including individual drip coffee maker, kettle, and personal safe. 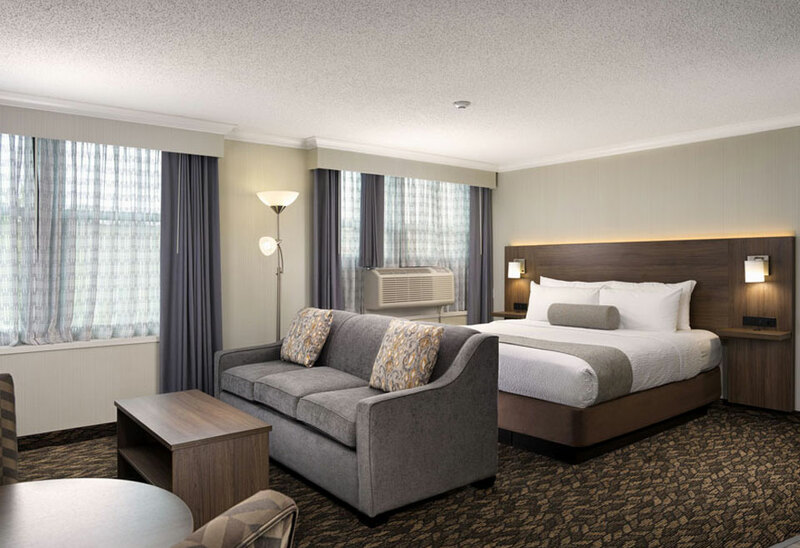 All of our 350 square foot King Suite rooms have a comfortable sitting area with a pull out sofa (giving an additional double bed), chair, and a coffee table. 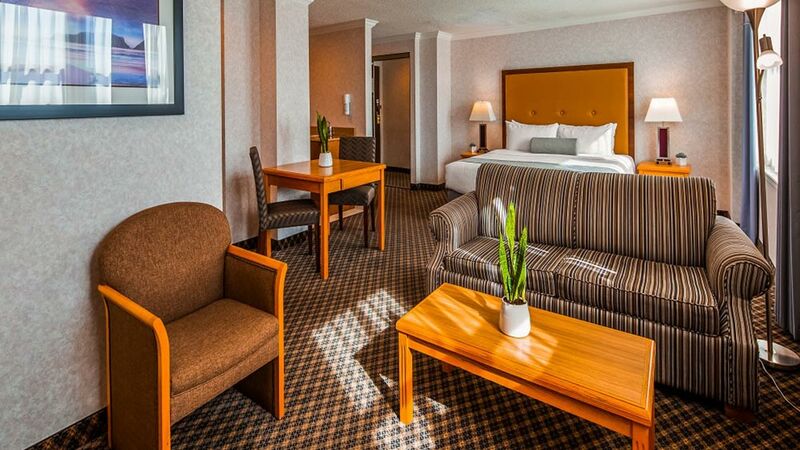 You’ll also find a large desk and complimentary Wi-Fi, ideal for business or personal lap top use in the suite. 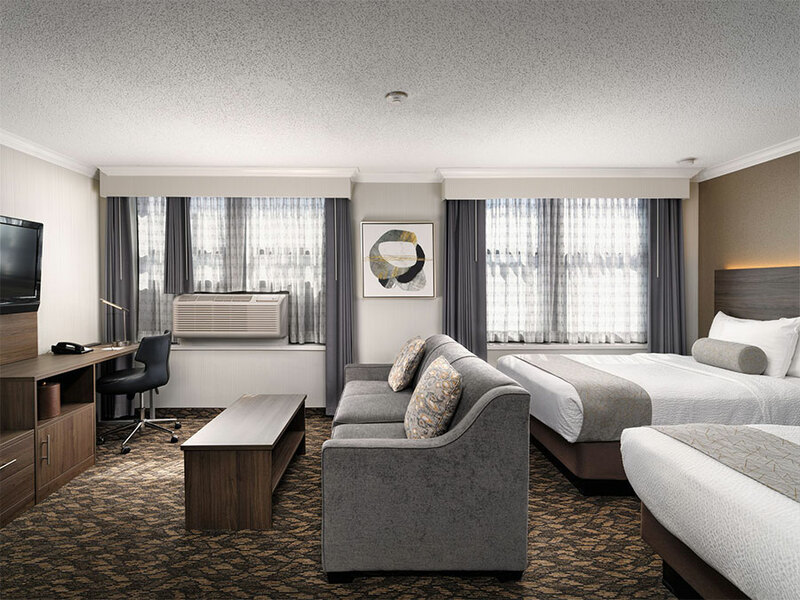 This room type is most suitable for couples and business travelers seeking a few more creature comforts. 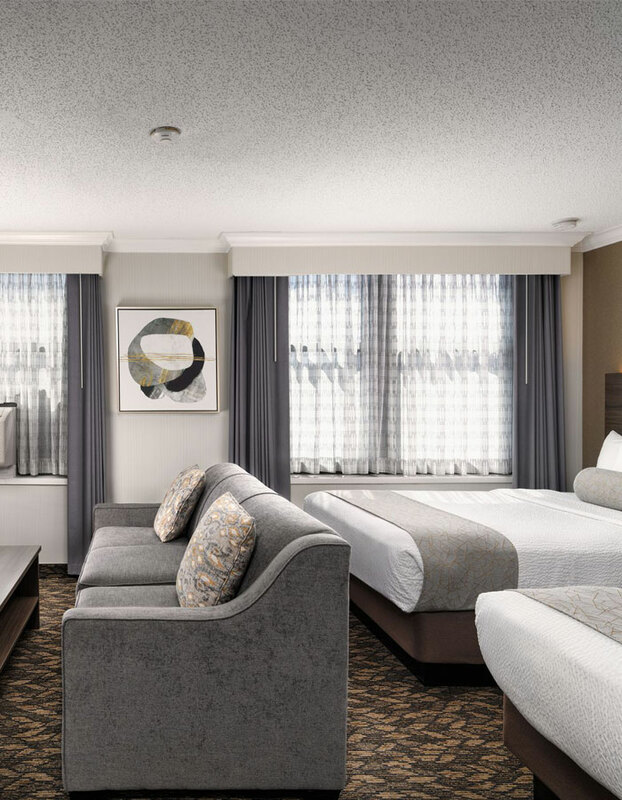 Our Family Suites come with two Queen sized beds, and a pull out sofa giving the room three beds. These are our largest room type. These suites have an additional room which houses one of the two Queen sized beds. Perfect for privacy or a moment of peace and quiet. You’ll find the other queen sized bed bachelor style with a full kitchen that includes; bar fridge, electric stove top, oven, microwave, kitchen sink, and kitchen table. The main living area also comes equipped with many extras including individual drip coffee maker, kettle, and personal safe. All of our 600 square foot Suites with two Queen beds have a comfortable sitting area with a pull out couch, chair, and a coffee table. 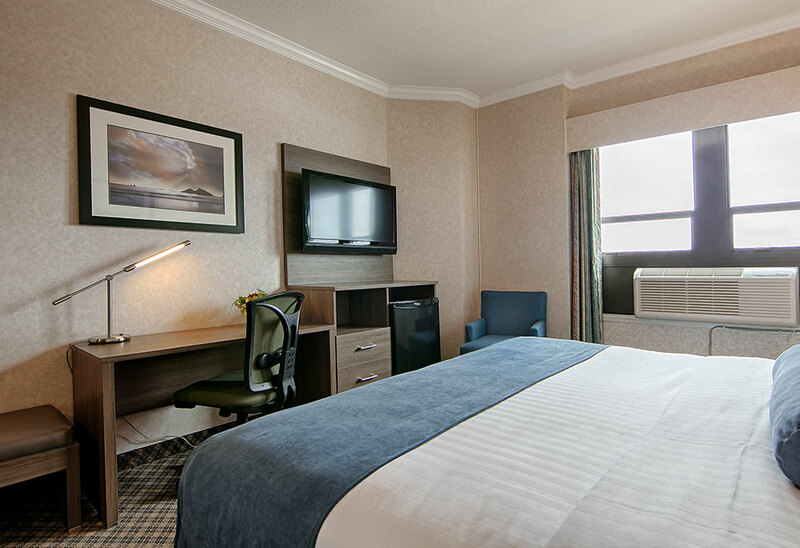 You’ll also find a large desk and complimentary Wi-Fi, ideal for business or personal lap top use in the suite. This room type is most suitable for those travelling with the whole family or multiple couples travelling together.